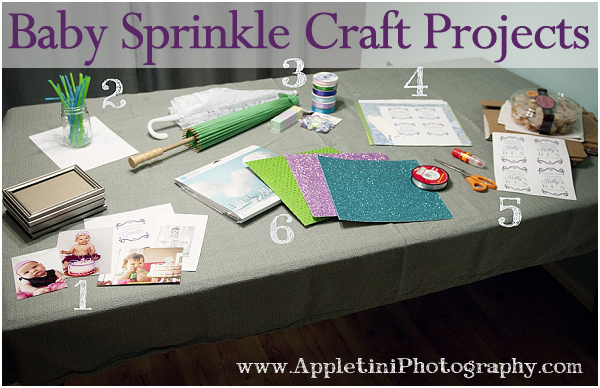 A Baby Sprinkle and the crafts to pull it off! 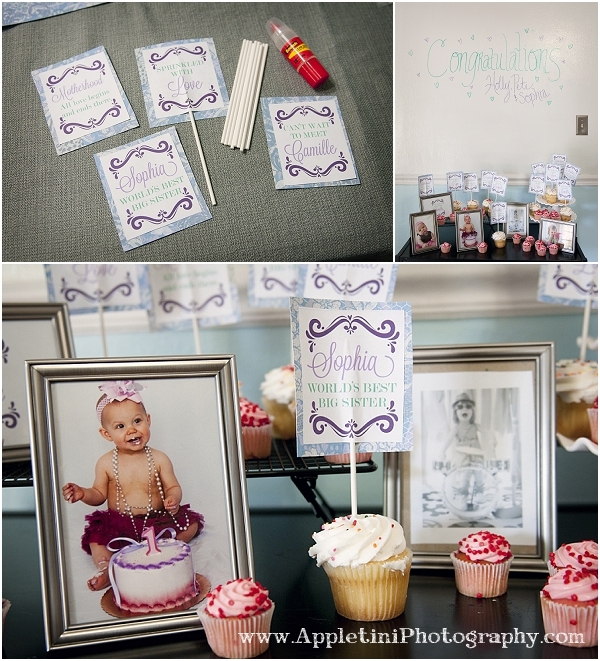 Home/Blog, Momma Likes to Party, Momma's Corner, Party Planning/A Baby Sprinkle and the crafts to pull it off! If you have been following my blog for a while you mostly likely know Sophia, my little star, well Sophia is getting a little sister and could not be more excited! 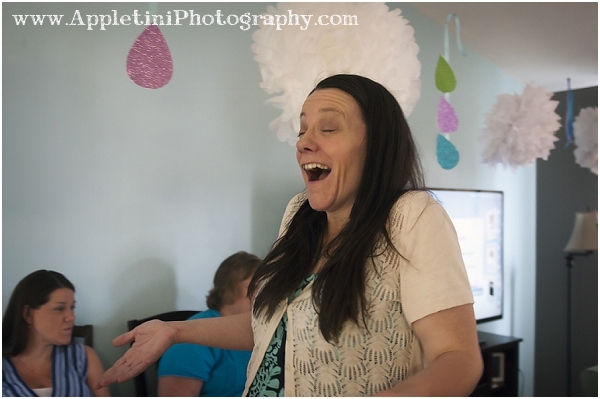 My Mom, Amy and I threw my expecting sister Holly a baby sprinkle. For those of you asking…what the heck is a baby sprinkle? Hahaha I had the same questions but its brilliant. 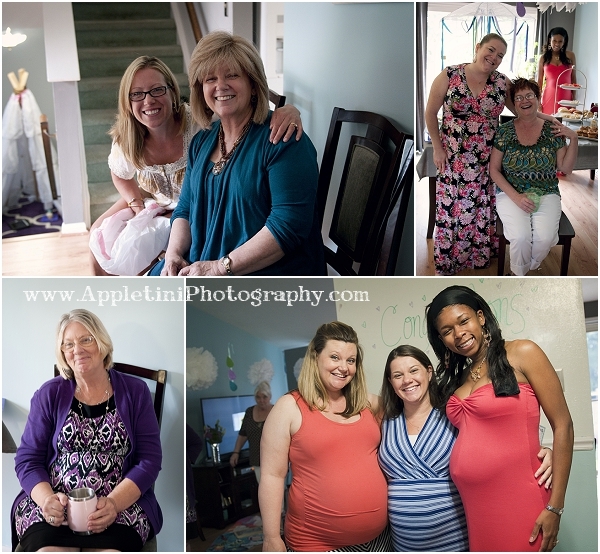 For the first baby the Mom-to-be is “showered” with baby gifts and for the next baby there is a sprinkle, a lite get together and sprinkle of love to help the Mom-to-be prepare. 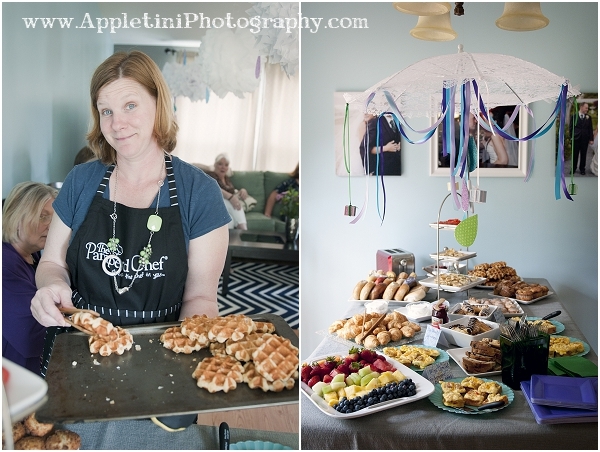 I love to throw parties and was really excited to throw my sister Holly a brunch sprinkle. 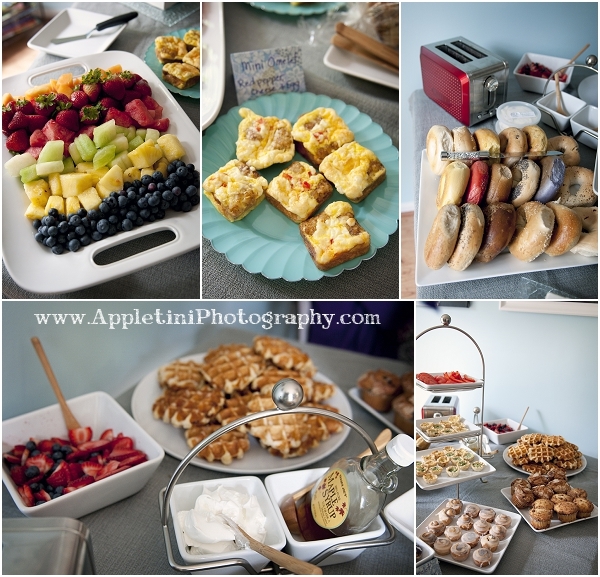 Having 12 amazing women for brunch and to sprinkle my sister with love? Yes please!! It was a great morning full of laughter (naturally with my crew) and love. Before we get to the party, I wanted to share my projects. I really wanted to use as many things as I already had. 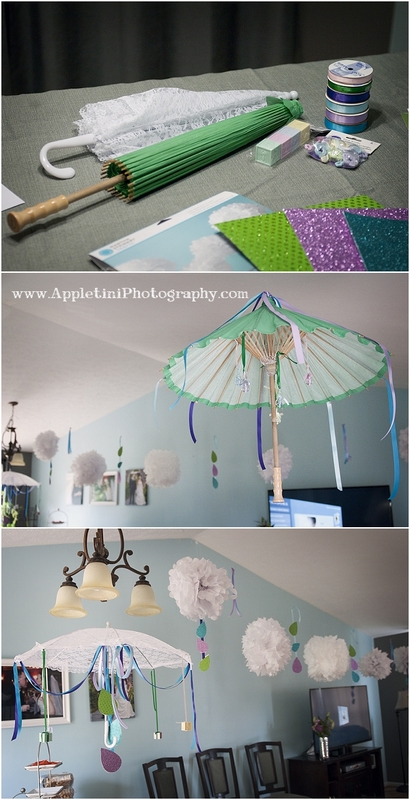 I had the idea of rain clouds since it was a “sprinkle” and the craft projects started flowing from there. The baby’s room is purple, teal and green which just so happens to be some of my favorite colors so I had plenty of stuff to work with. 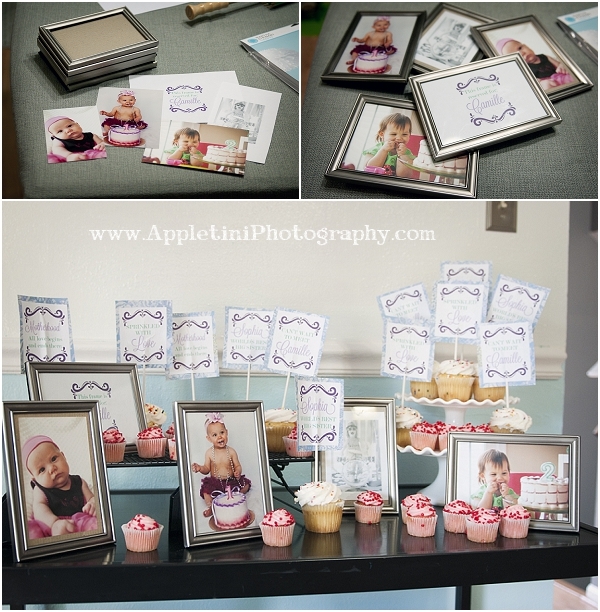 6 quick craft projects that took about 60-90 minutes to complete set this party off!! I am a photographer so just about every party I throw has some sort of photo project, I just can’t help myself. Since I have all of big sister Sophia birthday images I thought they would be fun to display along with a frame reserved for Camille, the new addition. I had the frames and prints already so I made up a graphic for Camille’s frame and put it all together. The frames worked perfectly with my cupcake display. If it’s going to rain you better have an umbrella. Do you have things in your craft closet that you think I am never going to use that but imma keep it anyway? These umbrella are those items for me, I have no idea where the lace came from but I got the green one for my bridesmaids and this one had a little rip so they sent me a new one. Glad I was able to use it!! At the craft store I picked up matching ribbon and some baby blocks and rattles to dress them up a bit. Cupcake flags. I made a quick graphic, printed it on my home printer and used some scrap book paper to mount them. I almost made the cupcakes but saw these beauties at the store all covered in icing and screaming “this will save you time” and they were right…and delicious! Bun in the oven favor – this is such a simple and clever project. I had a few boxes left over from this project. 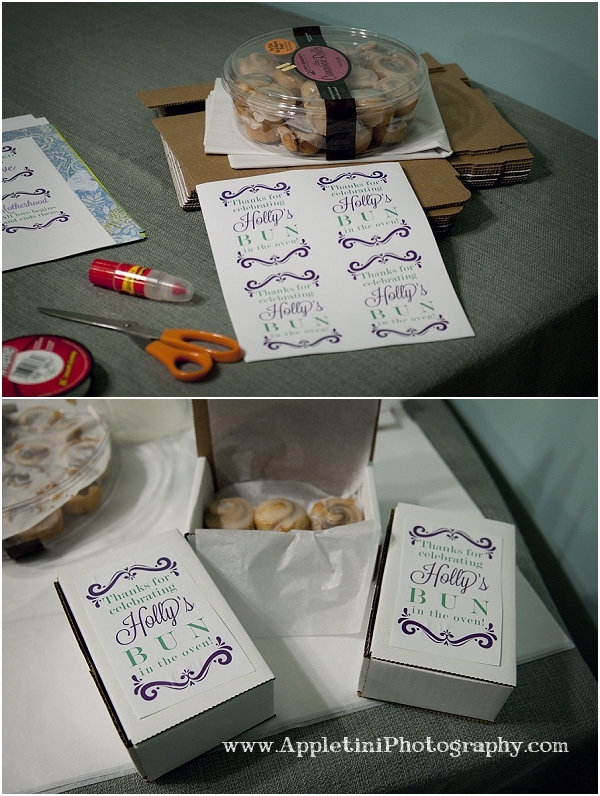 I bought some sticky buns and made a tag that read “Thank you for celebrating Holly’s BUN in the oven. 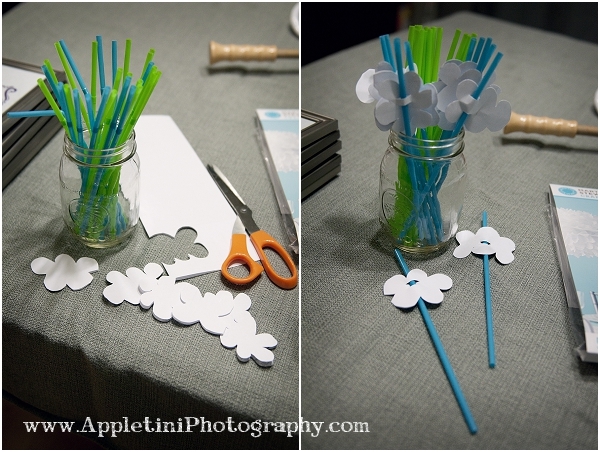 These made adorable little favors. You can’t have a sprinkle without clouds and sprinkles. I have great ceilings in my living room and every party I throw I am always trying to think of something fun to hang. 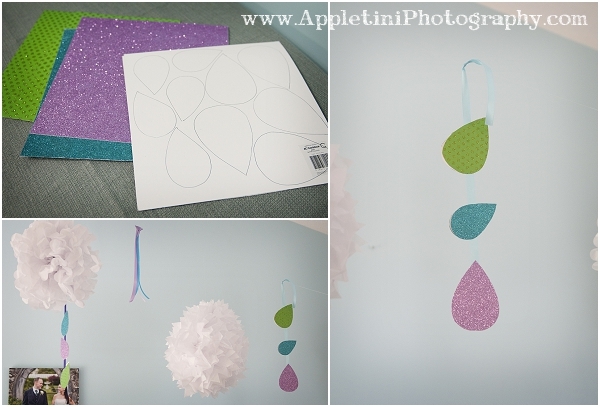 I used white poms and rain drops that I cut out of glitter paper to create the rain storm. It was super cute. You can, and I have made poms out of tissue paper and pipe cleaners but I found these on the sale rack and through I would give the store ones a try. I paid $7 for 5 poms and would do it again in a heartbeat, these worked out great and saved a lot of time. I hung everything with clear fishing line. I love this image. Cheryl was asking Sophia if she thinks a puppy is in there. Hahahahaha she was cracking up, which was causing us to crack up…it was so cute. Told you this is the summer of babies, I spy with my little eye 3 new babies….can’t wait!!! I also spy with my little eye, my Momma! This is me getting soaked by all the sprinkle…hahahahaha I’m so goofy sometimes. Hahahahahahahahahahaha….we just love this kid to pieces!!! Hello Darling! 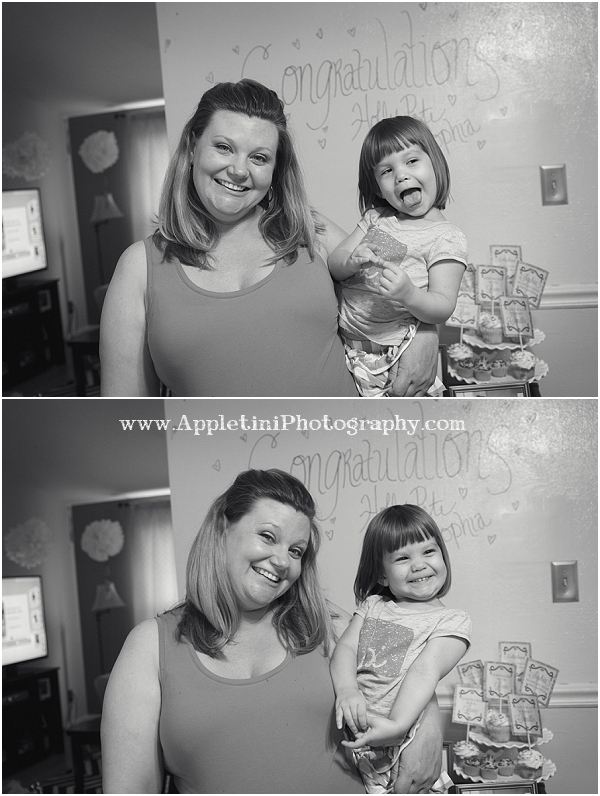 I'm Tiffany Wichert, owner of Appletini Photography. We specializes in Maternity, Newborn, Children, and Family Portrait Photography. 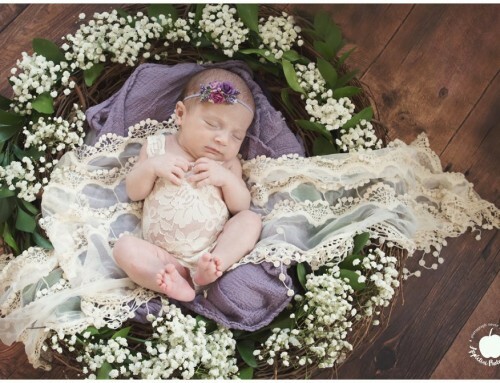 Located in Bucks County PA my Morrisville home studio, The Baby Boutique serves Yardley, Newtown, Washington Crossing all the way up to New Hope and as far over to Southhampton. 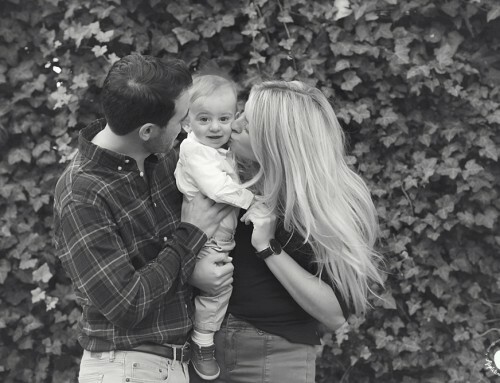 We pretty much will work with any adorable child in Bucks County and the surrounding areas! There is no family too adorable for us! This Sprinkle is so SWEET! I’m sad I missed it! BUT love that I get to see all the fabness I missed here! Congrats again Holly! Your little princess will be here soon! 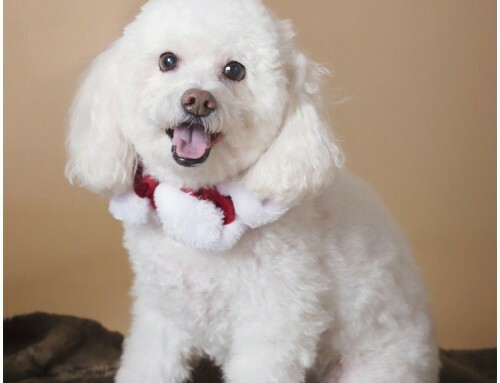 I can wait to meet the little doll… and to watch Sophie in the Big Sister spot light! The sprinkle was beautiful. All the details made it very special. Thank you so much for throwing it for me. I’m a lucky, lucky girl to have such wonderful sisters. Love You!